In 1749, John Rich commissioned a five-act drama with music for the Theatre Royal, Covent Garden, to be presented early in 1750, but it was never performed. Smollett's play was lost, and Handel used much of his music in other compositions. 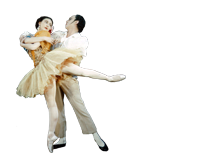 English Bach Festival's 1989 version replaced the spoken word with dance and mime, and included other pieces of Handel's music.